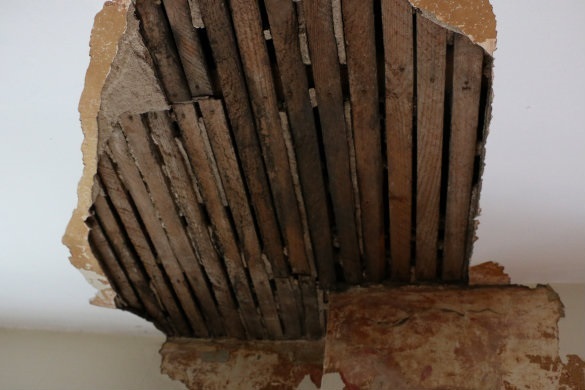 Plaster walls and ceilings serve as a historic feature in many old Lakewood homes, offering a surface that’s smooth, mold-resistant and relatively durable. But what can be done when your home’s plaster ultimately starts to crack or crumble? LakewoodAlive’s “Plaster Repair & Replacement” workshop takes place on May 10. LakewoodAlive will host Knowing Your Home: Plaster Repair & Replacement on Thursday, May 10, from 7 to 9 p.m. at Sherwin-Williams’ Lakewood location (14711 Madison Avenue). The sixth workshop of 2018 for this popular home maintenance educational series seeks to educate homeowners on how to repair plaster walls and ceilings. Hosted by Sherwin-Williams and led by Linda Jancik of Wall to Wall Transformations, this free workshop will cover the anatomy of a wall, the materials comprising plaster and best practices for tackling a plaster repair job. This rock-hard substance was applied to the walls and ceilings of nearly every house built prior to the 1950s. The goal of this workshop is to empower you with the knowledge and confidence you need to tackle your home’s plaster repair job. Whether you’re determined to fix water damage from an old leaky toilet or tub or you simply want to be proactive and ready for a future plaster repair need, chances are you’ll find this workshop useful. To reserve your free spot for “Knowing Your Home: Plaster Repair & Replacement,” click here or call 216-521-0655.